Coming and Going | KARIBU! 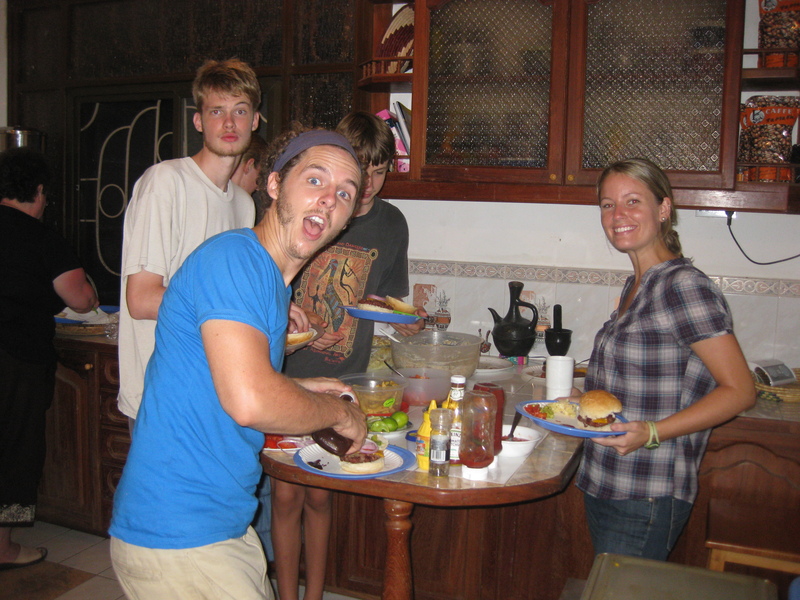 One thing that we have learned about living in a missionary community is that people come and go a lot. It seems like just about every month or so there is a welcome, or going away party. This is just part of life in our community here in Dar.We have been very blessed to have community here. I would surely go crazy if I did not have the people around to love, encourage and support our work here. Over this year there are a few particular people that have left/are leaving, who have meant a lot to us. Brandon and Amanda Maxwell have already left to go back home to Minnesota but we really loved their friendship and the service they gave to HOPAC. They have just finished their 3rd year here in Dar es Salaam and have done so much for the community here. Brandon is a stellar English teacher and Basketball coach and Amanda ran the service learning for primary, student council and really spear headed the entire soccer program for HOPAC. Amanda is an amazing soccer coach, and player and her expertise really added to the HOPAC program. Outside of HOPAC, they were involved in some village work where they ran sports, and games for kids. They also helped to build a church and installed a clean water well for the people of the village. There is no doubt their work here will have a lasting impact on this community. They are now home safely preparing to have their first child which is very exciting. We are so grateful for our time with them and we miss them dearly! Another couple that has been a great source of friendship for us here have been Steve and Lindsey Kreiger. We did not meet them until November when we started going to a new church. 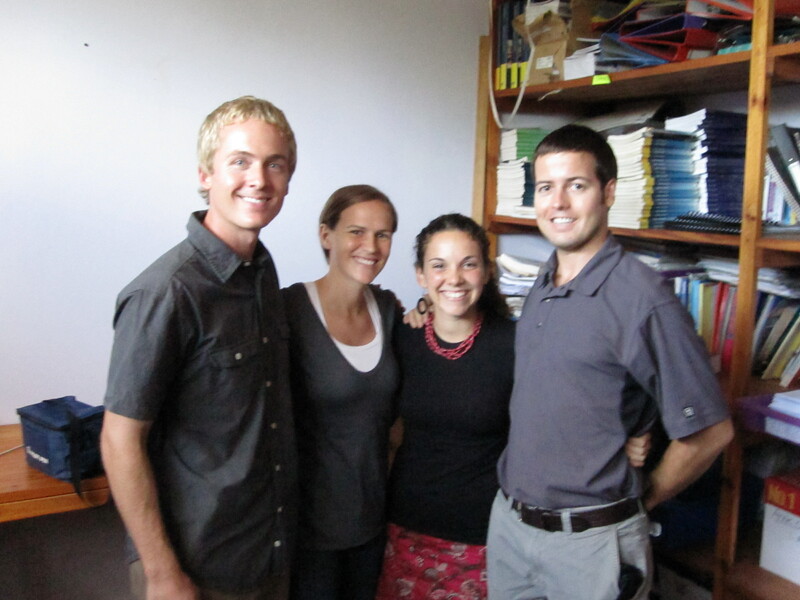 They are from Virginia, and are here with Reach Global teaching business to the local Tanzanians. There is such a need for this as many have no concept of what a business should look like or how it should be ran, yet many of them have their own small businesses. Unlike us, they have learned a lot of Swahili, and in my opinion are more than conversationally fluent (I must admit I am jealous of this! We do not get the same exposure here at HOPAC, and I love learning languages.) They have been busy all year teaching classes and running workshops but their year is coming to a close. They will be leaving in July, because they too will be going home to have a baby boy! So exciting. 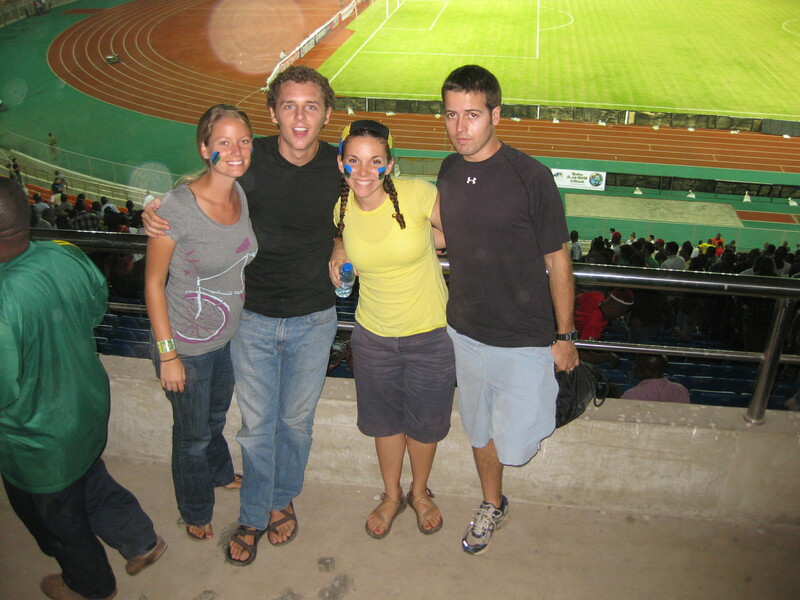 Cheering on Tanzania at the Brazil v TZ game. We have enjoyed our many hours of hang out time with them. We have had lots of dinners, played lots of card games, BBQ’d and went to the Brazil v. Tanzania game with them which was such an adventure! We are so grateful for them in our lives. We are sad that they are all leaving but wish them nothing but the blessings in their future endeavors as parents. Hopefully, we will be able to visit them again one day in the States and meet their new little ones.